As the new interim director of the Georgia Weather Network, I’ve already heard some interesting stories about the critters technicians find inside their weather station equipment boxes. 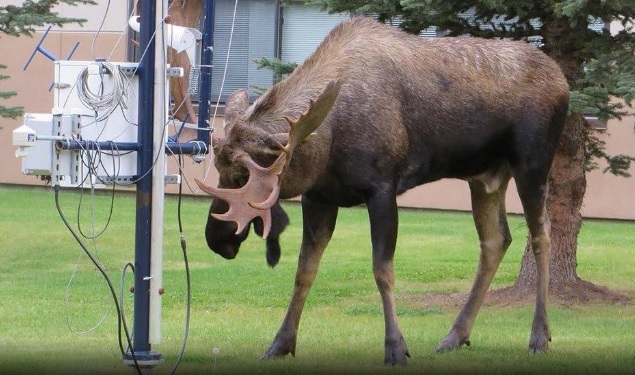 Here’s a story from The Weather Channel about some of the even stranger things folks have found at or near weather stations around the country. Be careful when you open that door! Read the story at https://weather.com/news/news/2018-06-04-strange-things-weather-instrument-maintenance. 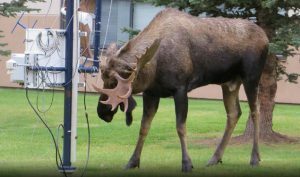 A moose tangles with weather instruments in Anchorage, Alaska, in September 2016.